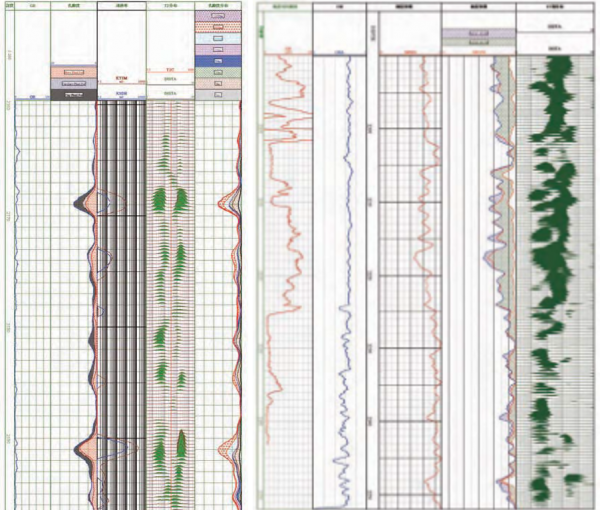 RECON Petrotechnologies in Partnership with China Oilfield Services LTD. (COSL) are proud to offer a new series of High Technology logging tools to the North American Market. Building on RECON's proprietary surface logging system and our trademarked High Definition Data we are now able to bring you and your team all of the specialty logging tools that you are looking for. RECON is now a proven alternative to the Super Majors with the local experience, expertise, quality and commitment that RECON is known for, along with the technology that is so very needed to make the most of your Resources. This partnership along with continued R&D within the RECON facility is propelling us to be your next choice for Open Hole, Cased Hole and Consultive Services across N. America. You asked for it so we made it happen. The ERMI is a 6 pad micro resistivity device designed for use in water based muds. The focused circuitry forces the measuement currents into the formation allowing for a processed high resolution image from which we can then derive fractures, bedding, stratigraphy, dip and depositional environments. Either processed in-house by RECON, your staff or by the industry experts at HEF Petrophysical the results are the best of the best. Typically run in combination with the ERMI is the fundamental tool required for rock mechanics evaluation of your reservoir Cross Dipole / Dipole. The tool is designed to use dual monopole and cross dipole transducers to generate the acoustic wave signals within the formation. The receptor array receives these signals from the formation in a 90 degree offset (when in cross funtionality). 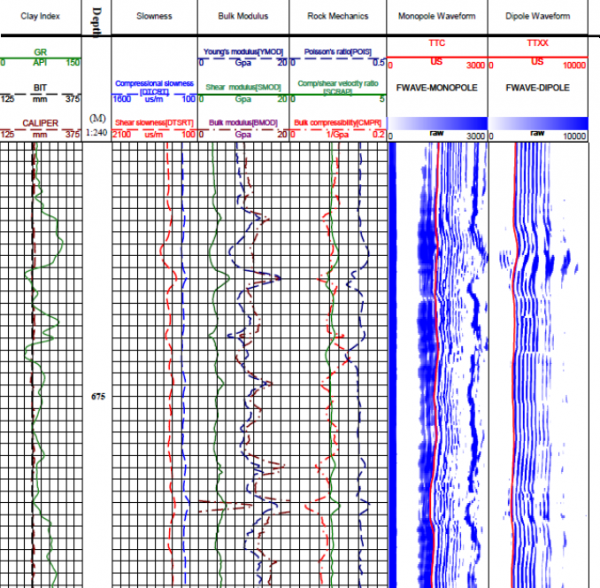 The information collected can be used for seismic integration as well as the full spectrum of Rock Mechanics evaluation. 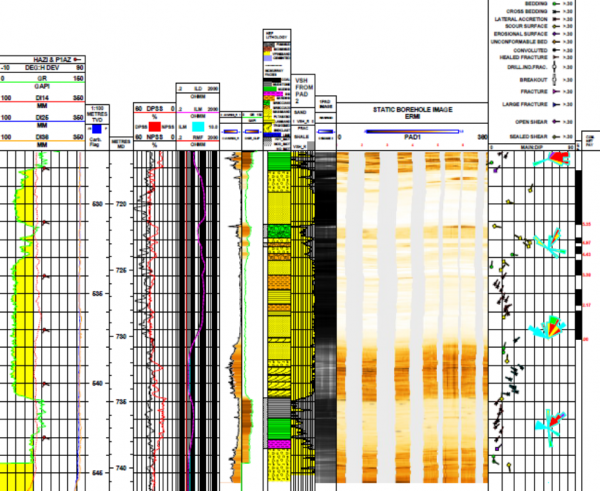 Nuclear Magnetic Resonance (NMR) tools are some of the most advanced technology in the world of Open Hole Logging to date. RECON is ecstatic to be able to provide this type of reservoir charecterization along with our High Definition Data Nuclear logging suite in order to provide the best look at your targets. Free Fluid, Bound Water, Permeability and Pore Size distribution are all part of the measurement fundametals of the NMR. Measuring the polarization and relaxation of the hydrogen nuclei in the pore space by creating a "Spin Echo" allows for detailed measurment of the aforementioned properties. Lets get down to details on your next logging job.